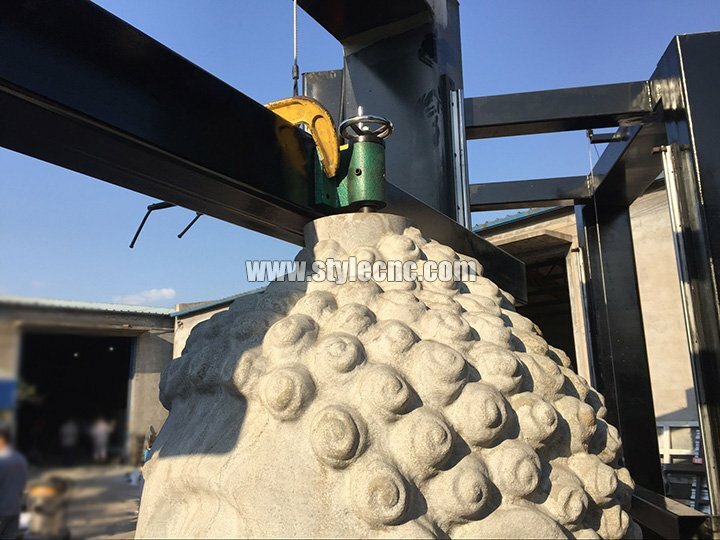 4 axis CNC stone carving machine is a four axis vertical 3D stone carving machine, which is used for three-dimensional processing of stone column, buddha, statues, etc. 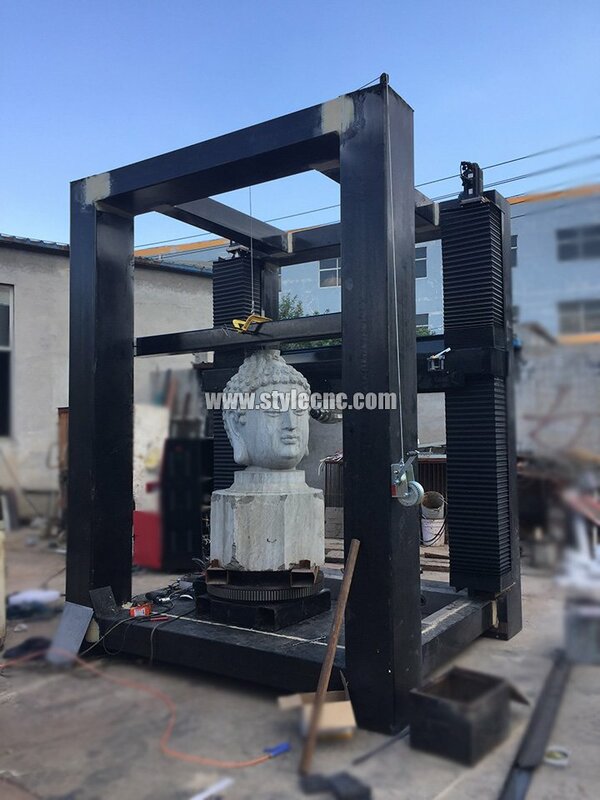 4 axis CNC stone carving machine is a four axis vertical 3D carving machine, which is widely used in three-dimensional processing of stone, foam and wood products, 360° carving human body, statues, sculptures, handicrafts, furniture, wood handicrafts, stone column, buddha, statues and so on. 1. 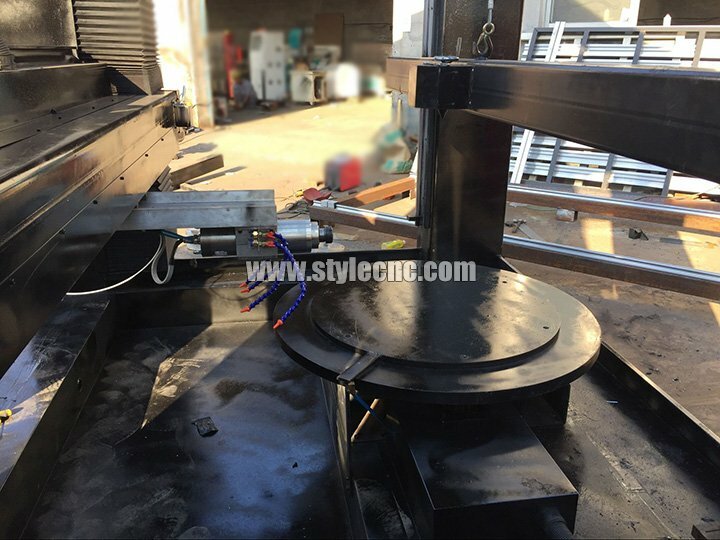 Maximum processing height 2000mm, diameter 1400mm. 2. 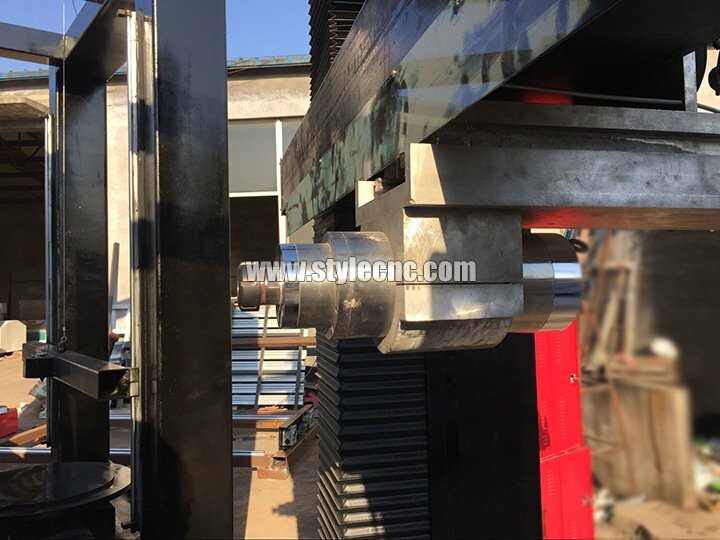 Heavy duty steel structure, ensure that the bed structure stability and rigidity. 3. Use high speed spindle, the maximum spindle speed up to 24000rpm, ensure efficiency. 4. Adopt Taiwan guide rail, Japan Shimpo reducer, ensure accuracy. 5. Memory of breakpoint, it can save nine origin, very user-friendly operation. 6. 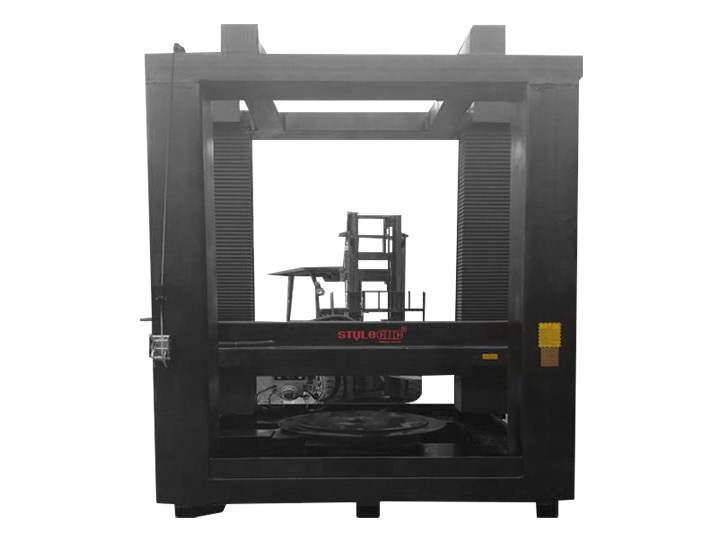 4 axis cnc stone Carving machine use RichAuto 4 axis control system. 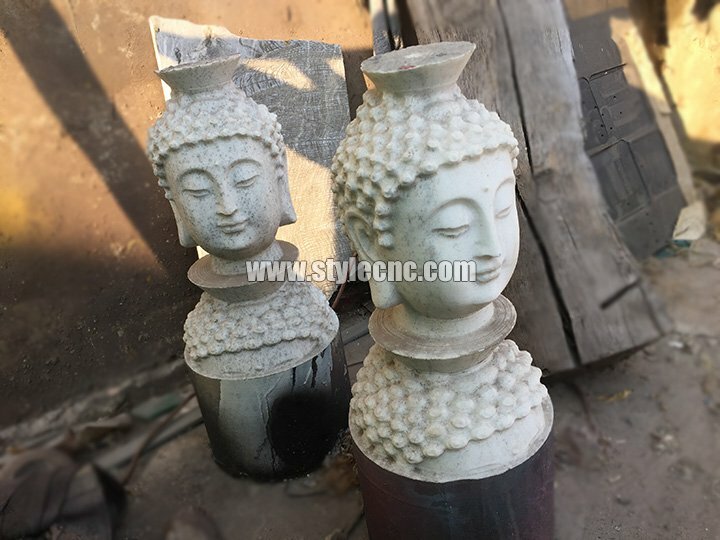 What the 4 Axis CNC stone carving machine can do? 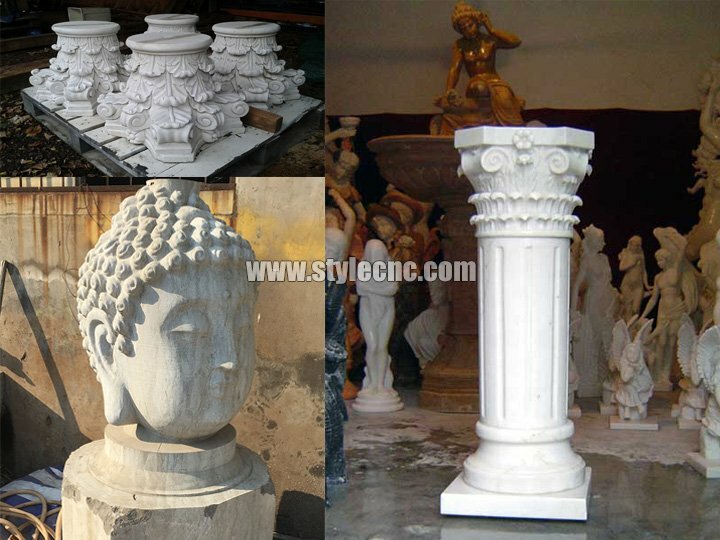 License: The text of "4 Axis CNC Stone Carving Machine for Stone Column, Buddha, Statues" by STYLECNC is licensed under a Creative Commons Attribution 4.0 International License. Very satisfied with my big guy. Three months have passed. Stone carving machine is still working well!